What is A615-40 GRADE Steels? A615-40 grade steel is a structural billet steel for structural applications. A615-40 grade is a material grade and designation defined in ASTM A615 standard. 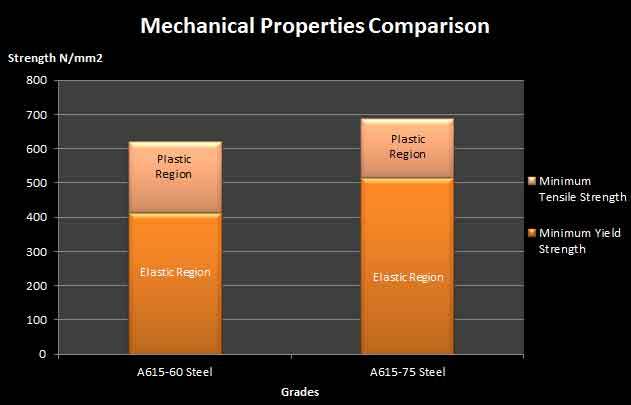 ASTM A615 is an international material standard for reinforcement bar billet steel for strengthening application. 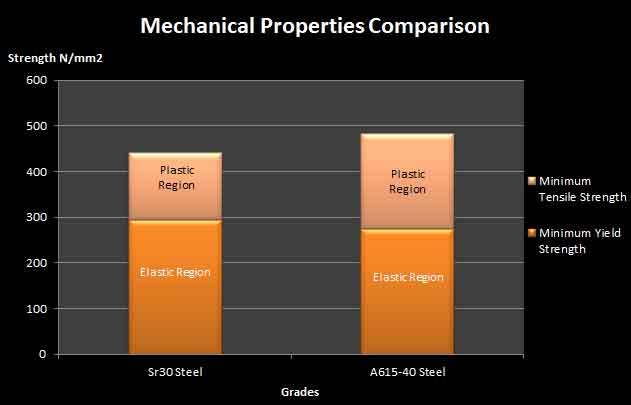 A615-40 grade Steel is higher in strength as compare to SR30 steel. 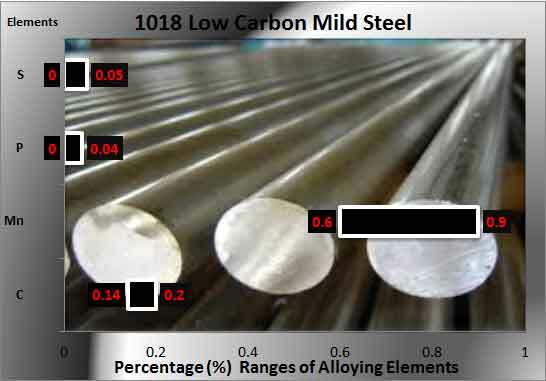 Dimensional Characteristics of A615-40 Grade Steels: The applicable diameter for this A615-40 GRADE material as defined in the ASTM A615 ranges to 35.8 mm. The perimeter is usually around 112.5 mm. The cross sectional area is about 1006 mm2. Mechanical Properties of A615-40 Grade Steels: The tensile strength of the A615-40 Grade Steels is expressed in Newton per millimeters and it must be at-least 483 N/mm2 (MPa). The yield strength is minimum 276 N/mm2 (MPa). The minimum percentage ranges for elongation is 12% thicknesses.